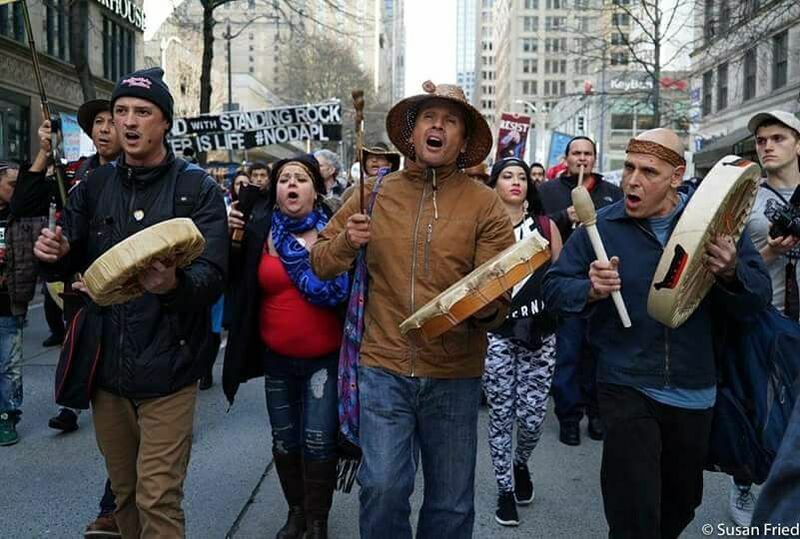 Wells Fargo shareholders are proposing a resolution at an upcoming stockholders meeting that calls on Wells Fargo to adopt a policy respecting the rights of Indigenous Peoples. 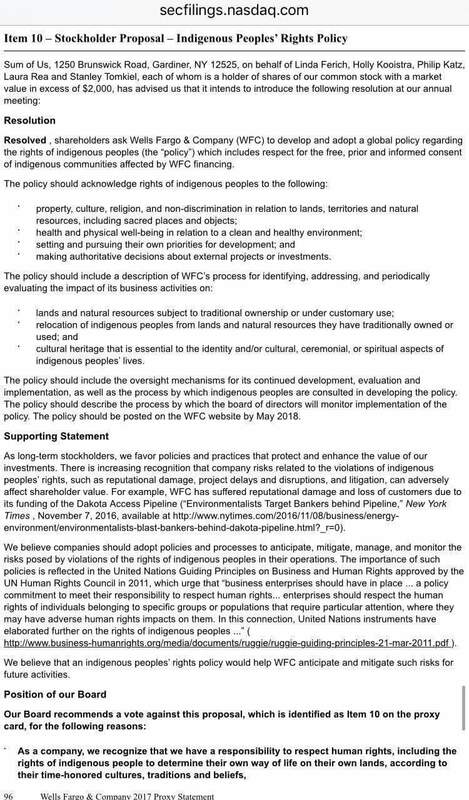 The shareholders cite Wells Fargo’s​ funding of the Dakota Access pipeline and the reputation damage, and loss of customers that has resulted because of it, as reason to adopt an Indigenous Peoples’ Rights Policy. 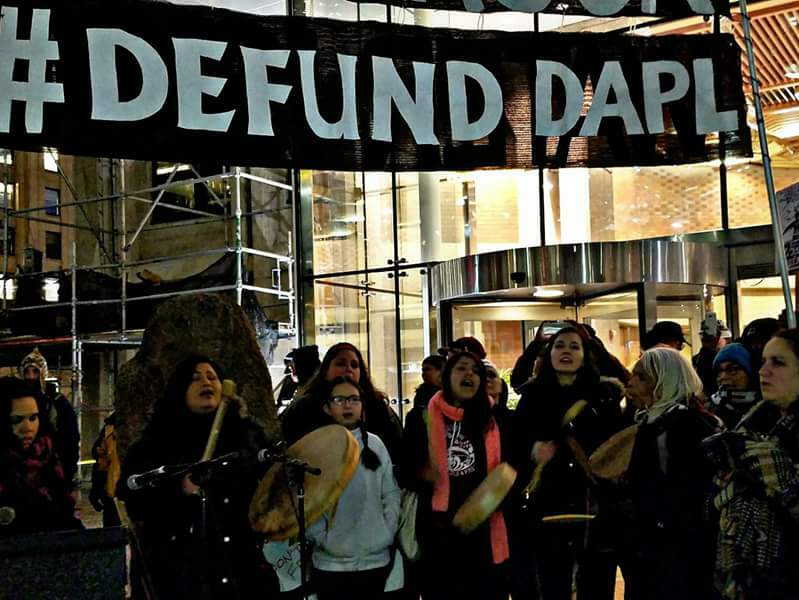 Wells Fargo has been subjected to heavy protest due to its funding of the Dakota Access pipeline including divesment campaigns that has led several citys to end their relationship with the bank. In February, the city of Seattle ended its $3b per year relationship with Wells Fargo. This entry was posted in Visionary Leadership and tagged Dakota Access Pipeline, Last Real Indians, LRInpsire, matt remle, wells fargo by lrinspire. Bookmark the permalink.